Social sites have evolved beyond simply collections of photos and interests to become an integral part of many consumers’ daily lives. In April of 2014, Facebook surpassed one billion monthly mobile users. Consider the sheer scale of a billion users. That’s one in seven people on the planet that are using Facebook. Other social networking sites have hundreds of millions of users. Facebook and other sites are now communication platforms, used by many to chat and engage directly with both friends and brands. Businesses that want to maximize their profits must develop social media strategies that encourage action. This need for a social presence is certainly a requirement for real estate agents, a group of people that relies on word-of-mouth and professional presentation skills. 1. Build a multi-channel social media presence. Agents should embrace the sharing and social world and develop several social media sites including Facebook, Twitter, Google+, Instagram, even Pinterest. LinkedIn should also be used to establish the agent as an expert amongst their peers. Taking the time to manage these sites is worth the effort because they can bring in a substantial number of clients. Agents should also do some lead tracking to spot if certain social media platforms bring in the most completed sales. Encouraging prospects to “Like” or “Follow” you isn’t enough. You need to tell buyers and sellers the value that will come from their action. Describe what services you offer and detail your expertise so social media users will be more engaged and likely to take action. When a new person starts following you, make sure communicate with them directly through the social site. 3. Use images to drive interest. Agents have known for a while that good images can sell a property. A buyer gets a note from an agent about a new opening, and quickly glances at their phone or tablet to see some images. If those images aren’t readily available and they don’t sparkle, then the buyer will lose interest quickly. Agents should utilize Instagram to show off new properties visually to a broader social circle. Their website needs to feature dozens of pictures for each listing. Taking and posting pictures takes time, but it’s invaluable for 21st century buyers and sellers. Want to stand out even more? Post videos which are a great way to show a property’s scale and overall appeal. 4. Encourage buyers to use social media for learning. Homebuyers often ask their agent for advice about certain neighborhoods, local schools, recreation opportunities, and other aspects of a locality. While agents can offer advice, their main goal is to sell homes, and it’s likely they don’t live in the exact neighborhood in question. 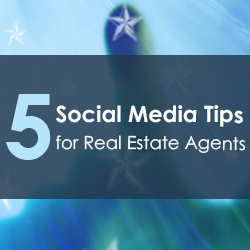 Agents should encourage buyers to reach out to their social media circles to find more information. Many people can quickly find “friends of friends” through Facebook that live in the city in question. These new contacts can provide valuable insights to the buyer, which aids the agent by helping narrow down home searches. 5. Offer insight and guidance, not just sales. Some agents use Twitter and Facebook as billboards, where they bombard followers with notices such as “28 Pine Lane price reduction – buy it now!” While most aren’t quite that overt, there are many posts that might be too pushy. Agents should find the right balance between keeping followers informed about properties and providing them with valuable information. Agents that know a local area well should share on social sites the best local place to get coffee, where to take the kids to ride bikes, and the best local flower shop. The aim is to establish the agent as an expert local source, one that can be trusted to know market trends and someone who has a knack for finding that perfect home. 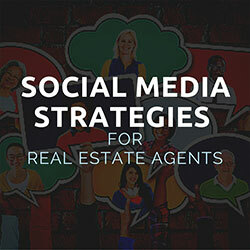 Navigating social media can be challenging, but it does offer real estate professionals a significant opportunity. Agents that can build consistent, interesting, and informative social media strategies will be able to reach massive audiences and see increases in both sales and new listings. There are so many different social networks these days and platforms where you should have a presence that it’s hard to keep track. 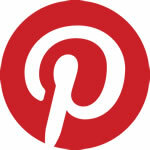 But one that is commonly overlooked and misunderstood is Google Plus. Google Plus is two years old now and has over 500 million users as of December 2012. Even if they are not all active members, there are plenty who are and one would be foolish to dismiss numbers like that. Real Estate agents want to drive the highest number of people to their websites to obtain prospective leads, convert them into clients, and close deals. Right? So why not try Google Plus and see if it produces results for you. I’m sure you are using Facebook for your personal connections and you should also have your own page for your real estate business. You are also probably using LinkedIn, which is a great place to maintain your industry connections with those you already know. What is great about Google Plus is it allows you to network with other like-minded real estate agents and professionals in an entirely new way as well as tap into a new potential market of prospective leads. Combine this with the power of tapping into Google search and you have a force that cannot be ignored. Circles are one of the key features of Google Plus because it allows you to segment your connections and share certain content with specific audiences. James Call is a former Real Estate Agent turned Webmaster and founder of RealtyCandy.com. If you do a web search for an IDX plugin (an MLS integration for realty websites), his name is likely to pop up. He is selective on his social media usage but uses Google Plus for his business. “What I really like about using Google plus is that I spend all day in my Gmail inbox. When I am reading an email, from a prospect or a client, I can quickly add them to my “Real Estate” circle or my “Prospects” circle. Or both,” Call says. You can also create additional circles for friend and family, of course. By creating these circles, you can customize what you send to each audience. For example, Instead of blasting all over LinkedIn or Facebook and saying “View my new listing on 22nd Street,” you can send it exclusively to your “Prospects” circle. Or if you want to discuss the state of the market with other Real Estate Agents, you can send to your “Real Estate” circle and have a powerful conversation. Or if you want to share a picture of your child at the zoo, you can choose to only share with your “Family” circle. There is no need to clog your Facebook feed of family and friends with information not relevant to them. And if it is relevant to them, add them to multiple circles. There is no limit on the number of circles a person can be in on Google Plus. Cut down on the noise and keep your personal connections personal and your business connections business related. We all know the importance of social sharing and Plus One buttons are no exception. Just like the “Like,” “Tweet,” or “Pin It” button, Plus Ones are another avenue for potential clients to share your content. It allows your website visitors to instantly share your content with their circles. Google also stores all of your Plus Ones across the web so they are viewable within a member’s profile. You can see an example of this on my profile here. The Google Plus Follow button is another widget you should add to your website. It instantly allows visitors to add you to their circles without leaving your website. You can add one here. Now that you have your Plus One buttons on your website, promote your content to the relevant circles on Google Plus EVERY time you post something new – video, link, photo, or blog post. If you post video tours of your listings on YouTube, share them on Google Plus. If you have new photos of a property, share them. The active members of Google Plus are highly engaged and you have the opportunity to tap into the power of an entirely new network of people. 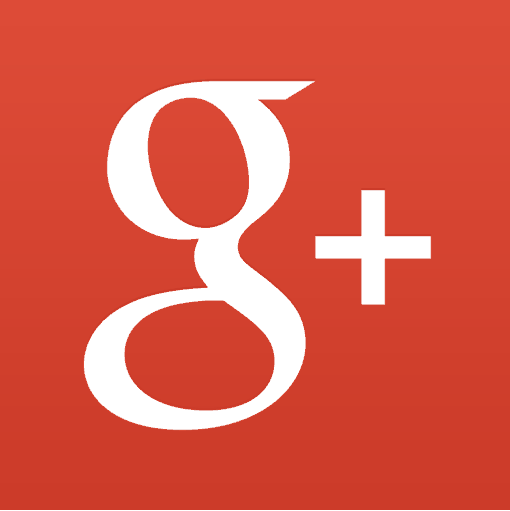 Start by joining the Official Google Plus Real Estate Community . It already has over 4,700 members. And here is a link to the top Real Estate People and Pages on Google Plus. You will have the opportunity to connect with other like-minded professionals and learn helpful tips and share information with one another. You can also use features like Hangouts to connect with these people over video and IM chat features. Google is the king of search, and they are placing more and more emphasis on social factors when determining rankings. The hidden power of Google Plus lies in search and interaction. The more active you are on Google Plus and the more people add you to their circles, the higher your rankings will be. More people interacting with your content means increased odds of being discovered in search. And if one of your social goals is to find new prospective leads, you would be foolish to ignore the power the Google Plus. Go on, what are you waiting for?